I have some cutlery in my compost right now. And no, it’s not that bioplastic stuff (although I have been “testing” a supposedly compostable, but suspiciously plastic-looking, cup in there for nearly a year with very little progress). 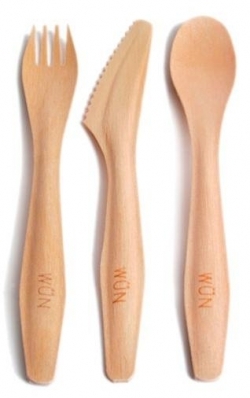 No, this cutlery is the real biodegradable deal. It’s made out of wood. Scrap wood that would otherwise likely be burned on the cut block. Scrap wood from right here in British Columbia! Wait a minute, you might be thinking, isn’t it better to avoid disposable cutlery in the first place? Ah, you are a quick one, my friend, and I wholeheartedly agree. But we have to live with the fact that some people break out the single use forks whenever they get more than say, 5 people in one place, and for those people, I present to you, Aspenware, the best darn disposable cutlery option I’ve seen yet. Despite this sounding like an infomercial, let me first say that Aspenware did not pay me to plug their business (unless you consider a single set of compostable cutlery payment), so I’m about to say whatever the heck I want. Aspenware says that “cutting through steak is not a problem” with their knife and their “fork fits your hand perfectly. 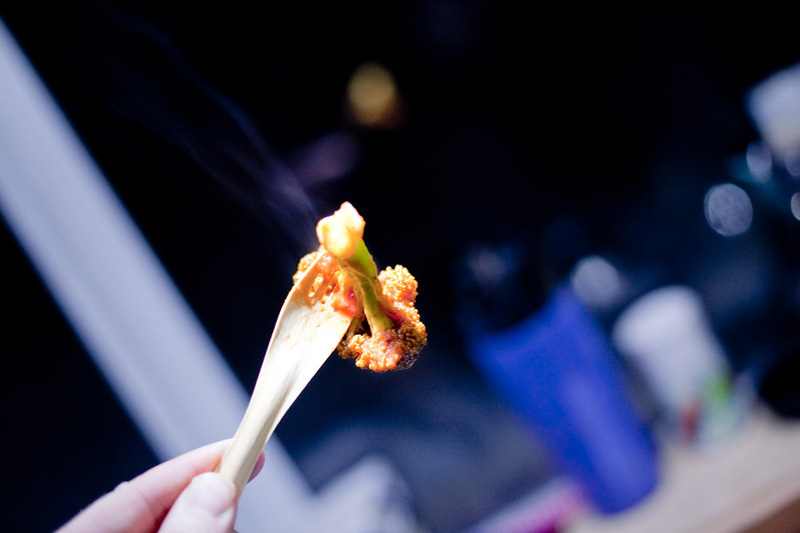 . .[it] will not break even when eating raw veggies like carrots, cauliflower and broccoli”. Grant and I put them to the test on an overnight winter camping trip. We didn’t have steak, but the knife cut our broccoli just fine and the spoon held a decent amount of oatmeal. As a camping bonus, we determined that they’re conveniently lightweight, and if push comes to shove you can burn them for a little heat. Aspenware aren’t silky smooth as plastic cutlery, but the eating end is protected by a light layer of (biodegradable, kosher) wax, so it’s smoother than you’d think. They are a bit wider and flatter than my home silverware, but they’re still easy to hold and look kind of stylish (I read on their website of someone using them for a wedding). More importantly, they did what they were supposed to (ie. get food from the plate into my mouth). Although they are supposedly single use,we wiped ours off with a cloth and managed to get about three uses out of them before they started to get a bit soft around the edges. So, would I buy them? Actually, probably not. I don’t buy disposable cutlery. Would I recommend it to someone who would otherwise be using plastic cutlery? To someone who was serving take out food, or feeding hoards of family members, or who needed a one time use fork for handing out samples? Absolutely! 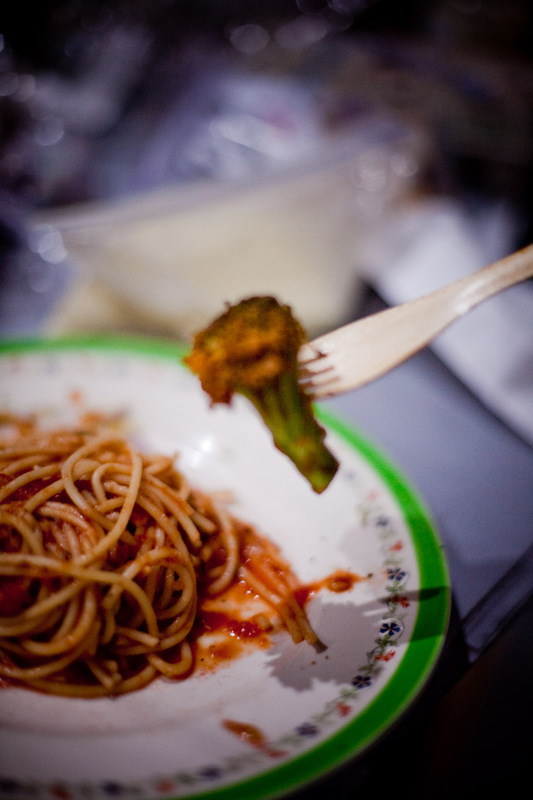 I’ve used the Aspenware cutlery at a music festival and they are a wonderful product!! I also found these great bamboo cutlery at http://www.to-goware.com. A great little investment to have on you in your travel bag for sure! Hey, thanks for your tips on cheese and tofu-buying. Looking forward to seeing your film!